We have said it before and we will say it again, there has to be something in the water in Sweden that helps them keep producing exquisite pop talents. The latest is pop singer-songwriter LOVA who pulls no punches in this empowering female declaration of independence. Delivered over a lush backdrop of handclaps, echoing guitars and warbled samples, My Name Isn’t is a fresh, quirky and addictive alt-pop call to arms. Released today and featuring on ten Spotify New Music Fridays, the track is the first to be taken from the 20-year-old's forthcoming second EP following last year's well-received debut EP, Scripted Reality. 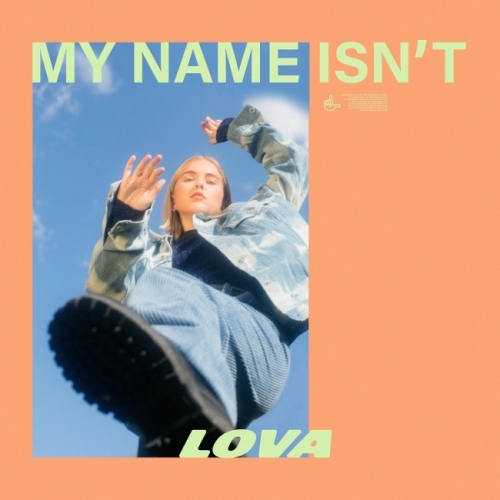 With over 9m combined streams and praise from the likes of The Guardian, Idolator, Earmilk, and Hilydilly among others, plus radio support from across Europe (Das Ding, NPO 3FM, NRK P3, DR P4, P3 Sweden), LOVA is primed to take 2019 by storm. She has already been chosen by YouTube as an Artist to Watch for 2019 and has just been awarded Rookie of the Year by the Swedish Music Publishers Association while her track You Me and The Silence was named as P3’s most played song of the year by a Swedish artist. Tonight (18 January) she plays Kokomo (9.30pm) at Eurosonic, having honed her performance supporting Noah Kahan on his European and Australian tour, as well playing at Queens of Pop, Popaganda and Way Out West festivals. In short: she's an artist not to be missed and My Name Isn’t, is quite simply, three minutes of pure pop mastery with a purpose.